Freeholders and the Home Rule Process | Audio and video stories from Southwest Washington. 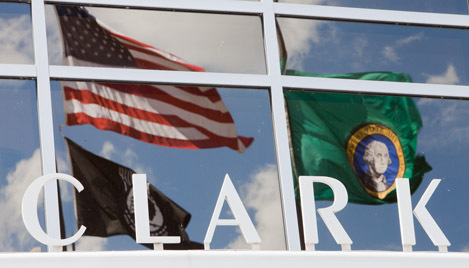 Since 1889, Clark County has been a statutory or code-county government made up of 3 county commissioners and districts. When this form of government was created in 1890, Clark County had a population of around 11,000 citizens. Today, the population is about 438,000. Outside of Clark County’s current Statutory or code-county, some counties have opted for a charter county or home rule county. Home rule and Charter County are two terms used synonymously. Currently, there are 6 charter counties in the state of Washington – King, Whatcom, Clallam, Snohomish, Pierce and San Juan. Four of the six counties adopted the council-elected executive form of government. The other two counties chose the commission-appointed administrator form. Charter counties can give citizens the power to design their county government. In Clark County’s case, 15 freeholders will be elected this November to discuss and draft a new charter in which the County will have to abide by. If the freeholders can agree on said charter, it will be placed before voters in the next general election. Clark County Freeholders are nonpartisan elected volunteers, whose term expires December 2014. Freeholders have 13 months to draft a proposal for the voters. If the voters reject the freeholder’s proposal, or if the freeholders can’t agree on a draft charter, Clark County will stay a statutory code county. If a majority of voters agree with the charter proposal, the new charter will be enacted. What started the freeholder process in Clark County? Commissioner Tom Mielke has been a long-time advocate of the home rule process. Commissioner Mielke was able to persuade his fellow commissioners to unanimously vote in favor of starting the freeholder election process. In 1982 and 1987 there was a question on the ballot as to whether or not we should elect freeholders, which failed. By commissioner’s direct resolution in 2000, 21 people were elected as freeholders, but freeholder candidate turnout was low. In a number the races, only two people filed, and in one race, only a single candidate filed. That charter failed, and was decided by a difference of only 187 votes. In 2013 as many as 14 have filed for one single freeholder position. In total, 123 freeholder candidates filed this year. Freeholders will hold public meetings that are subject to the open public meeting laws just like any other elected official. Freeholders are responsible to publicize meeting locations, agendas, and the public is welcome to attend those meetings. What could the freeholders draft charter contain? – Change district-elected commissioners to electing them county wide. – Decide if offices are partisan or nonpartisan. – Enact initiatives and referendums at the local county level. An initiative can give citizens direct lawmaking authority. If a number of citizens sign a petition, the question will be placed on the ballot and voters can say yay or nay to that question. The referendum allows voters the ability to pass judgment either on a law that the legislature has past or the legislative body itself can refer questions out to the voters for their consideration. The controversial executive branch of government would be led by a county executive. Typically, the county executive proposes the budget, but the county commissioners approve the budget. County commissioners can pass ordinances, but the county executive reserves the power to accept those ordinances or veto them. If it is vetoed, it is subject to a super majority over-ride of that veto. When the county executive goes to hire a department head, hiring is subject to the approval or the rejection by t he county council. Finally, the county council has subpoena powers. They can require any county employee to come before them and provide evidence and testimony. So, those checks and balances are some options that the freeholders can consider to include in the draft charter for Clark County. 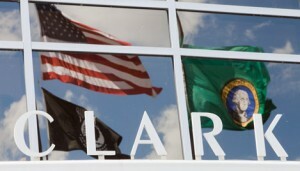 For more information, visit clarkvotes.org.